Best Practices: Does Canada’s New Anti-Spam Law (CASL) Apply? 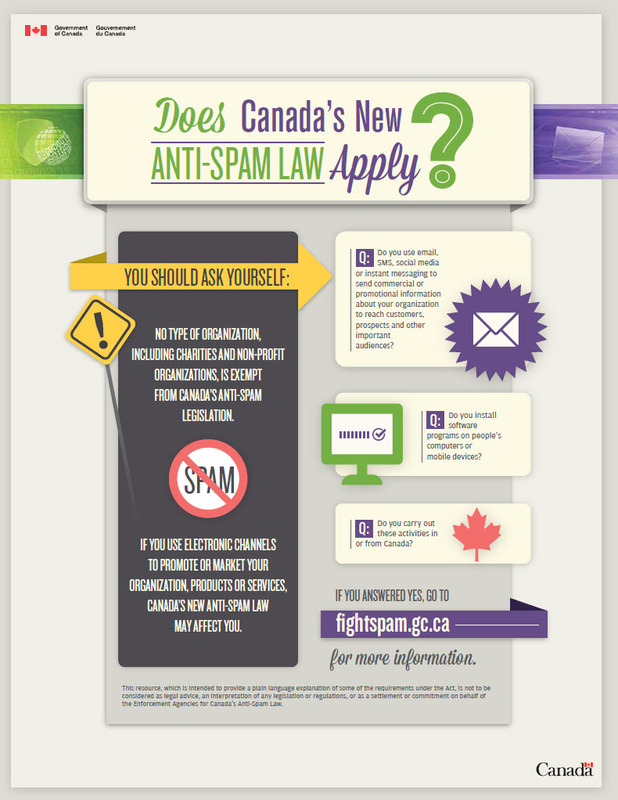 Looking for a quick guide to whether you need to think about Canada’s new Anti-Spam Law (CASL)? The Government of Canada has put together quick infographics and documents to help guide you. 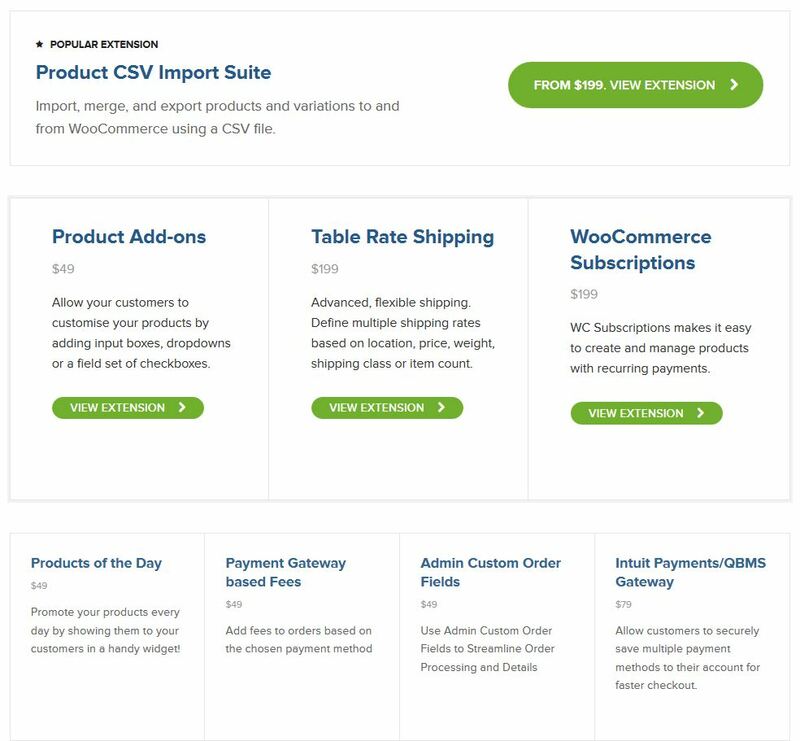 Read on to better understand how CASL applies to you and your business. No type of organization, including charities and non-profit organizations, is exempt from Canada’s Anti-Spam legislation. If you use electronic channels to promote or market your organization, products or services, Canada’s new Anti-Spam Law may affect you. Q: Do you use email, SMS, social media or instant messaging to send commercial or promotional information about your organization to reach customers, prospects and other important audiences? Q: Do you install software programs on people’s computers or mobile devices? Q: Do you carry out these activities in or from Canada? If you answered yes, go to fightspam.gc.ca for more information. 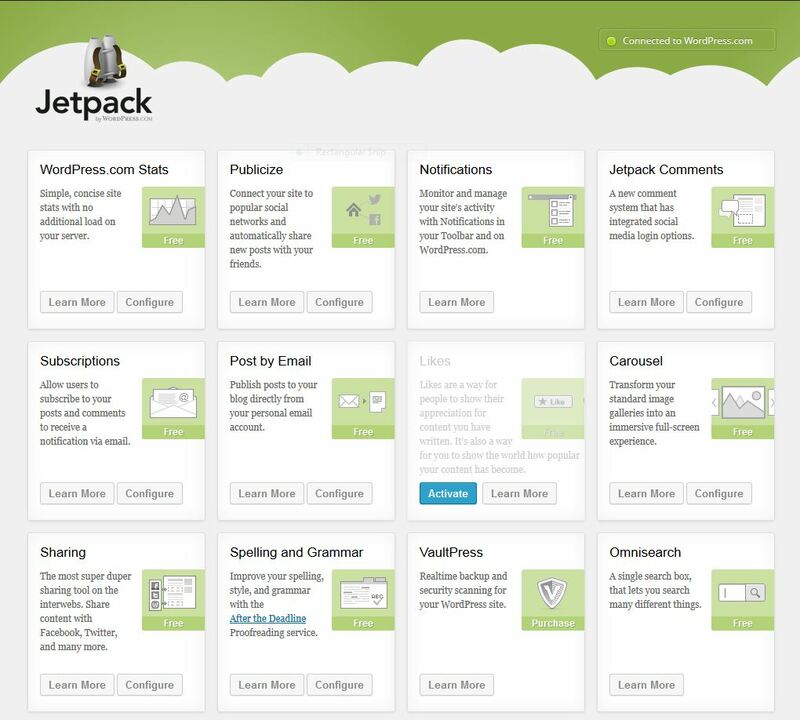 This resource, which is intended to provide a plain language explanation of some of the requirements under the Act, is not to be considered as legal advice, an interpretation of any legislation or regulations, or as a settlement or commitment on behalf of the Enforcement Agencies for Canada’s Anti-Spam Law. Author W. Andrew PowellPosted on June 29, 2014 August 11, 2014 Categories NewsTags Best Practices, CASL, emailLeave a comment on Best Practices: Does Canada’s New Anti-Spam Law (CASL) Apply?